Four matches in the UEFA Under-17 Finals tournament will take place in the Carlisle Grounds next month. The games, two in Group D and one in Group A, together with one of the Quarter-Finals, will all take place during the first fortnight in May. Sun 12 May, Quarter-final, Teams to be decided, kick-off 7pm. 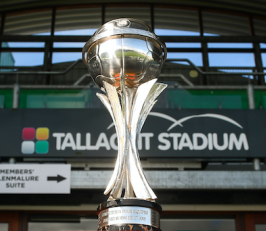 The Final will be in Tallaght Stadium the following Sunday. The tournament is also a qualifier for the FIFA Under-17 World Cup in Brazil later this year.